Over the last several weeks a lot of attention has been heaped on the Dallas Cowboys. Whether the conversation covered power rankings or flat X’s and O’s, they deserved all they received. However a closer look and the team that has more quality wins is the Arizona Cardinals. 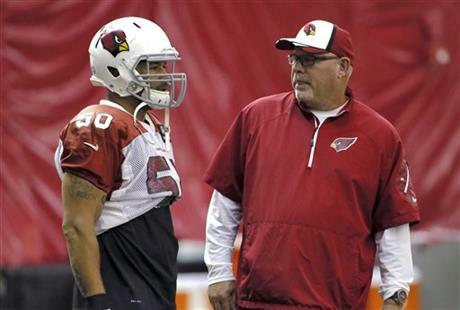 Bruce Arians has to be NFL Coach of the Year for his team’s performance. In their 6-1 start, they edged the 5-3 Chargers 18-17, pounded out a 23-14 win over the 4-3 49ers, and now a 24-20 victory over the 5-2 Philadelphia Eagles. The only blemish on their schedule was a 41-20 loss to the 6-1 Denver Broncos. Peyton Manning vs. Drew Stanton?? Those were the quarterbacks on the marquee in that defeat in Invesco Field with Carson Palmer nursing an injury. How are the Cardinals doing this and more importantly can they sustain it? Did you know the Cardinals are ranked 24th in defense, 25th in total offense while being 22nd in gaining first downs?? They don’t have a top ten rusher, receiver, and Bruce Arians has used 3 different starting QBs thanks to injuries. A closer look reveals Andre Ellington is 11th in rushing with 464 yards and 2 TDs. Yet that doesn’t explain anything. DeMarco Murray has that in his last 3 games alone. 1. Their esprit de corps in executing Defensive Coordinator Todd Bowles’ game plans. 2. Arizona is 2nd in the NFL with a +9 turnover ratio while keeping 6 opponents to 20 points or less. 3. Winning situational football week in and week out which can only be attributed to coaching. “Situational football” is a phrase used by Bill Belichick in practicing specific moments that can arise in a game. What situation?? Take game 1 against the Chargers when they had a tentative lead with just a minute to go. Instead of lining up in a passive prevent zone and allowing Rivers to calmly lead his team in field goal range. They came after him on 3 successive plays with 0 coverage blitzes. Three incompletions and the Cardinals win. 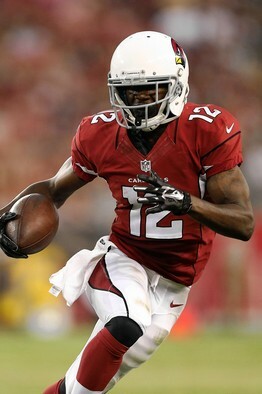 John Brown is the Cardinal’s version of the Steelers Antonio Brown. Diminutive and can flat out fly. Another situation was this past Sunday with 1:39 to go in the game facing 3rd and 5. Rookie wideout John Brown sticks his foot in the ground 15 yards downfield then bursts pass S Nate Allen for the game winning 75 yard touchdown. That is just it. The situation where all these cookie cutter coordinators are totally coaching their players what to expect, the Cardinals are going for broke. Carson Palmer pulled the trigger and led Brown perfectly on the game winning touchdown. Arizona is keeping everyone close with this approach and finding ways to win it in the end. 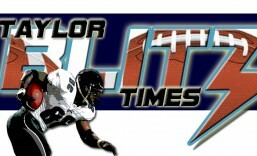 Can they sustain the rate of committing just 5 turnovers in 7 games?? If they can they’d break the record of the 1990 New York Giants with fewest (13) in a season. Doubtful they can sustain it. Yet they have NFC tie breakers over San Francisco and Philadelphia. With a win this Sunday against Dallas, they will add another tie-breaker. Dallas better not overcoach this week. This entry was posted in 2014 NFL Regular Season and tagged Andre Ellington, Arizona Cardinals, Bruce Arians, Carson Palmer, football, Larry Foote, NFC West, NFL, NFL Players, sports. Bookmark the permalink. ← Has Marvin Lewis Become the New Tony Dungy?? Yeah guys… the problem is what happens if or when they do commit turnovers? Will they have the star power to get themselves back into ball games? The Cards may be the NFC west Champs when all is said and done. Never realized they were THAT good. The Cardinals could be the most under rated team in the league!